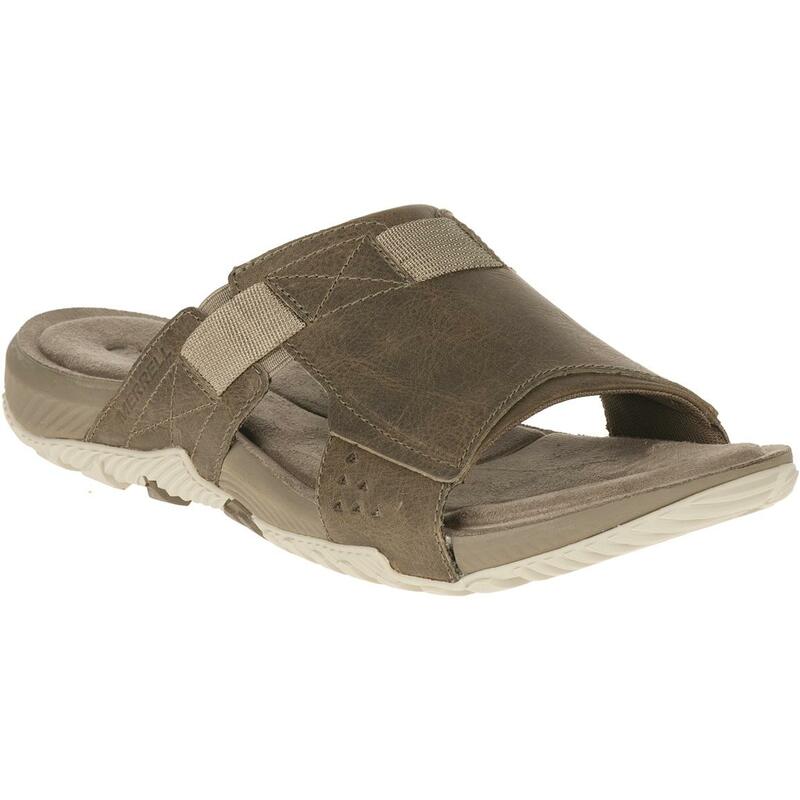 These Slide Sandals are stylish, light and breathable…but they also offer Merrell® classic cushioning and sure-footedness! 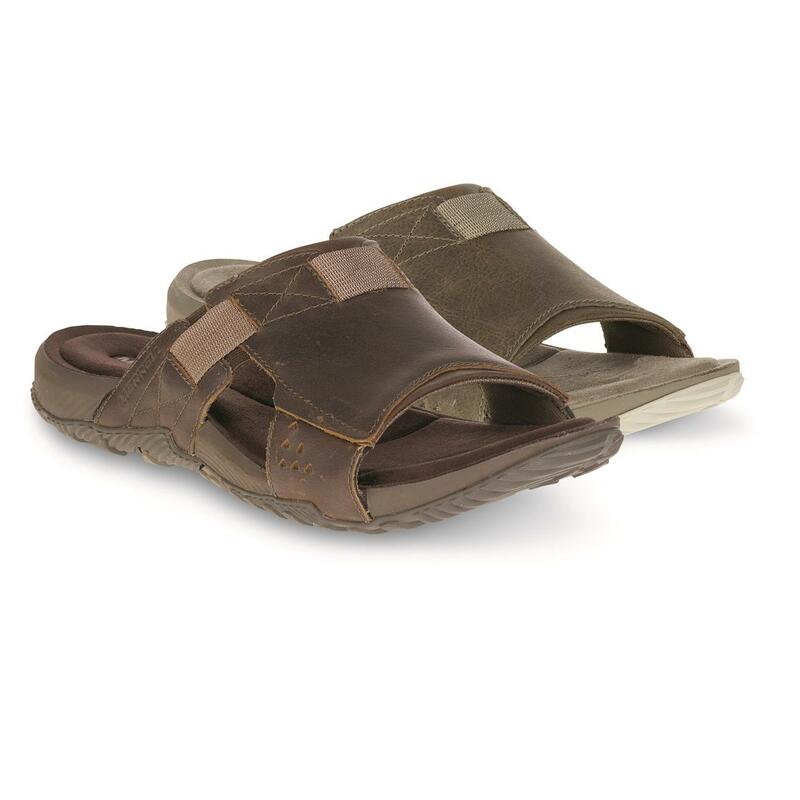 The best of both worlds, whether you’re walking a few miles or just kicking back. The full-grain leather uppers and M Select GRIP outsole provide a snug fit and underfoot support, while a full layer of memory foam cushioning delivers custom-fit comfort for a full day on your feet. 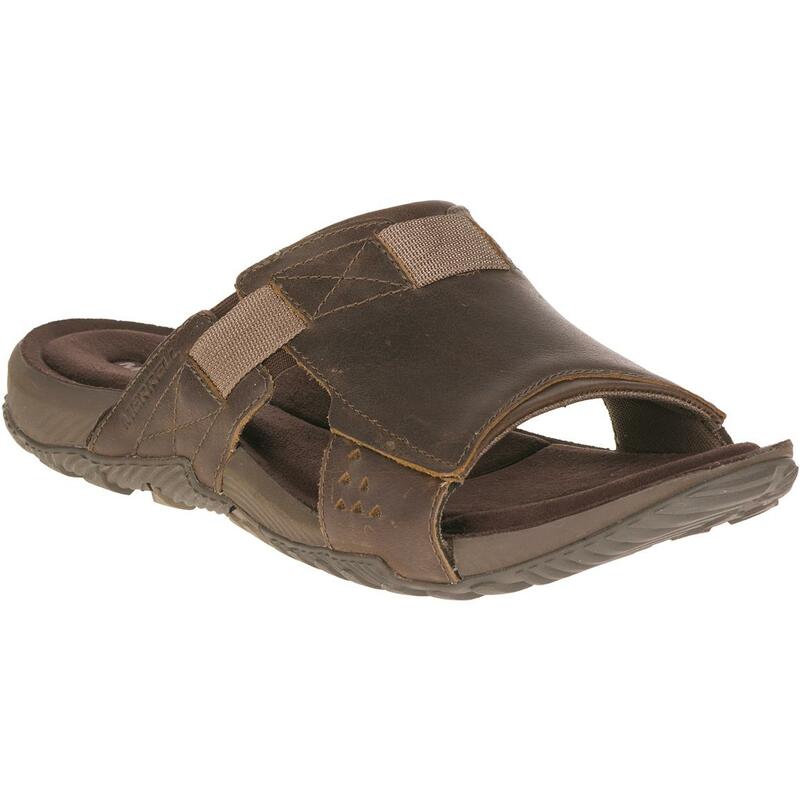 Weight per sandal (approx. ): 18 oz.